Did you know that if a purchased item’s price drops within a week or two, if a better price is found elsewhere, or if you miss a coupon, many stores will refund the excess amount paid? As great as that is, many of us don’t have the kind of time and patience required to perform routine, temporally calibrated price comparisons and, if we actually spot a price increase, quibble over a couple of dollars. That’s where price tracking apps like Paribus come in. It works by integrating with your email account (and Amazon account, if you have one) to monitor your purchases and track those items’ prices. As much as possible, they go directly through the email provider to prevent exchanging passwords. 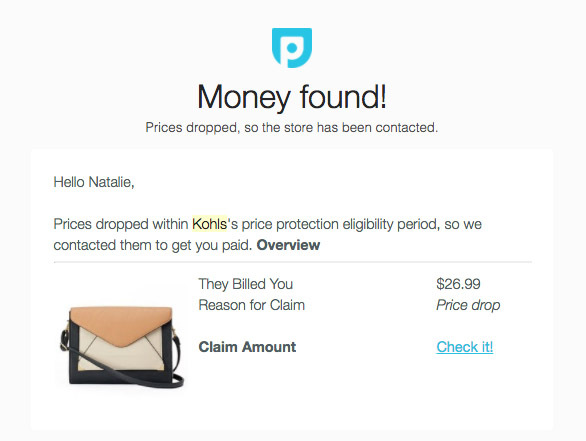 When a price drop is detected, they automatically contact the retailer on your behalf. Launched in 2014, Paribus is compatible with 29 retailers (Amazon, Anthropologie, Athleta, Banana Republic, Bed Bath & Beyond, Best Buy, Bloomingdale’s, Bonobos, Costco, Crate & Barrel, Gap, Home Depot, J. Crew, Kohl’s, L.L. Bean, Loft, Macy’s, Newegg, Nordstrom, Office Depot, Old Navy, Overstock, REI, Saks Fifth Avenue, Sears, Staples, Target, Walmart, & Zappos). They also have an optional, complimentary service in which they monitor how well merchants follow through on their expected delivery times and send an automated message to them when they breach their promise. If you are an Amazon Prime subscriber, you could be compensated with a one-month extension of Prime (capped at 12 extensions per year for annual memberships). Considering the annual Prime membership cost of $99 (working out to be $8.25 per month), it could be worthwhile to put in a support request in those instances. With Paribus doing the legwork, that’s something I can actually get my hopes up for. You may be wondering why Amazon is listed in their supported retailers list, since they don’t have a price protection policy (some sources report that in May 2016 they stopped offering price adjustment refunds on everything other than TVs and preordered items, but according to Amazon’s statement, they never offered price matching in the first place, and those granted were exceptions). As a July 2016 article from Paribus’ blog explains, “While most stores typically only offer price protection for 7–14 days, when shopping with specific Chase cards including the Sapphire Preferred and Freedom, Paribus has your back for 90 days post purchase. So although Amazon itself no longer offers price protection, if you have a Chase card, Paribus is back to getting you price adjustments on all Amazon purchases. This includes items of third party sellers, which represent over 50% of total purchases on Amazon.” You can link your credit cards on their settings page. Many people are concerned about security and the invasiveness of allowing access to your email account, and understandably so, but I wouldn’t worry. 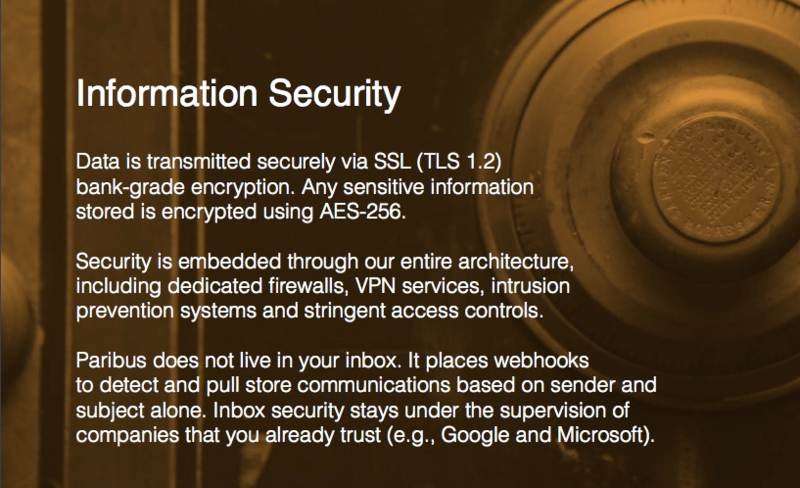 According to their press kit, data is transmitted through bank-grade encryption.